“Eat poor that day, eat rich the rest of the year. Rice for riches and peas for peace”. This is a southern saying on eating a dish of Hoppin’ John on New Year’s Day to ensure a prosperous year filled with luck. 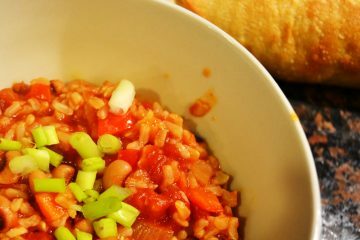 This is my quick, vegetarian version (the original Hoppin’ John calls for dried black eyed peas soaked overnight and a ham hock). While I like to make this on New Year’s Day (we all want prosperity and luck for our families, right? ), it is also a great dish that I prepare almost year round. I created this delicious, gluten-free stuffing for the Mystic Meals Under the Moon’s November Full Moon Dinner. I wanted the menu to honor the month’s Thanksgiving holiday but with a twist. Although it played sidekick to a roasted salmon dish, this stuffing could easily stand alone both in flavor and sustenance. Even if you don’t want to give up your traditional holiday stuffing try this amazing whole grain recipe sometime during the holiday season. This may be your go-to impress salad for family and friends in the cooler months. The fall-inspired, earthy salad was created as the 1st course in The Mystic Meals Under The Moon’s October Full Hunter Moon Dinner and Celebratory Moon Ritual event. 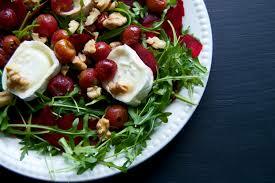 One of my favorite vinaigrettes tempers the peppery arugula and highlights the sweetness of the grapes. 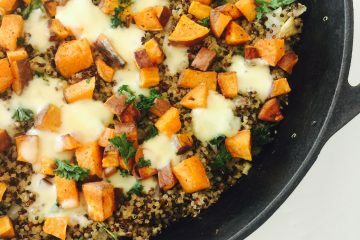 This easy, one skillet dish was created for my daughter as a recovery meal when she comes home from her morning swim practices. This egg bake is also perfect for dinner as it comes together very fast for those coming-in-the-door, what’s-for-dinner modes. 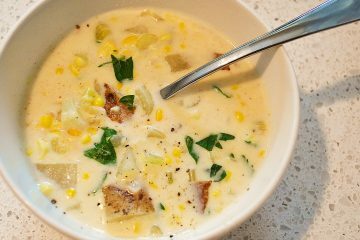 I am not a huge fan of cream-based soups, but I wanted to make traditional corn chowder with the last-of-the-season sweet corn from the farmer’s markets. I am now a HUGE fan of this lightened version, as is my family, which unanimously gave this vegetarian chowder “5 stars”. Dunking a warm, whole grain roll into the incredibly creamy, fennel-scented, flavorful broth (chockfull of tender potatoes and fresh corn kernels) is the perfect beginning to the start of comfort food season. 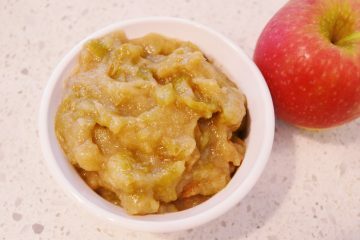 When fall rolls around and I see the many varieties of apples at the grocers and farmer’s markets I am ready to make batches and batches of applesauce. Preparing this kid (and adult) favorite in a slow cooker frees you up to go about your business. 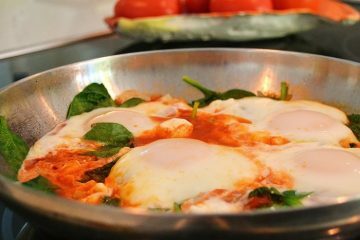 This a must-have recipe to have this fall. I was looking for a vegetarian recipe that showcased the most common vegetables popping up in our gardens, farmer’s markets, and CSA’s this summer, but was filling enough to satisfy any carnivore’s appetite. 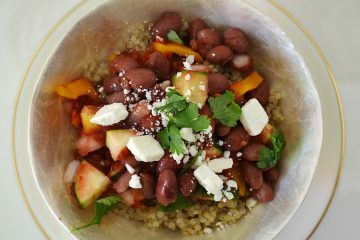 Between the beans and the high-protein quinoa, this recipe fits the bill and is quite tasty too! 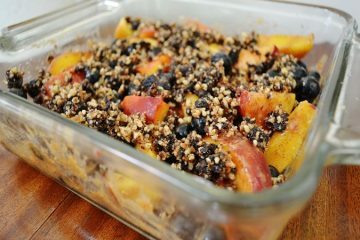 I served this to relatives this summer, and both adults and kids went back for seconds! This is my raw version of a summer classic. It’s delicious served plain, with a dollop of Greek yogurt, or with a scoop of vanilla ice cream. My family likes it as a parfait layered with yogurt and a drizzle of honey making it a perfect breakfast or snack. Tabbouleh is such a quick, easy Lebanese dish that incorporates so many good things; heart healthy olive oil, crisp vegetables and healing herbs. 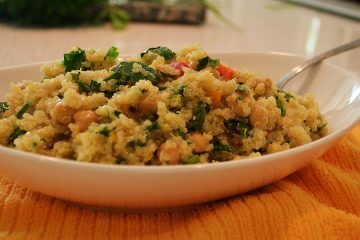 I have always incorporated some chickpeas into the dish for additional protein. 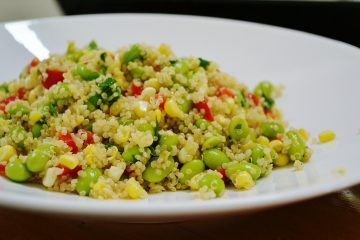 Once I discovered quinoa, the ancient seed was an easy substitute for me, as quinoa is wheat-free and does not result in any insulin spikes for me. I like to add a green leafy vegetable to the salad (in this case arugula) so it becomes one dish eating.